Have you ever had a day filled to the brim with students, rarely had time to eat or take care of yourself, or spend time with your loved ones, then at the end of the day you find yourself totally drained? I know I have. Way more often than I care to admit. But you've got students lined up right? You have created a successful tutor business. Then why don't you feel like you are thriving? There are three things you can do that will make all the difference. I have to remind myself of one very important principle. Tutoring is a rubber ball. Imagine life as a game in which you are juggling five balls in the air. You name them, work, family, health, and spirit-and you're keeping all of these in the air. You will soon understand that work is a rubber ball. If you drop it, it will bounce back. We can't thrive when we don't take care of ourselves. But why is it that we work so hard and forget to give ourselves the space needed to take care of the other four balls in your life? Many of us lack the boundaries needed to say no to ourselves, our students, our loved ones, and friends. We have to say no to things in order to keep our sanity. The other day, I found a goldmine of a printable called, 25 Ways to Say No from Christy Wright. This document gives you actual phrases you can say to lessen the sting of disappointing people. But saying no is the first step to thriving. We need to be able to tell new interested clients no when we really don't have the space. We need to be able to say no to filling our vacation or holidays with students. Tutors need a break too! 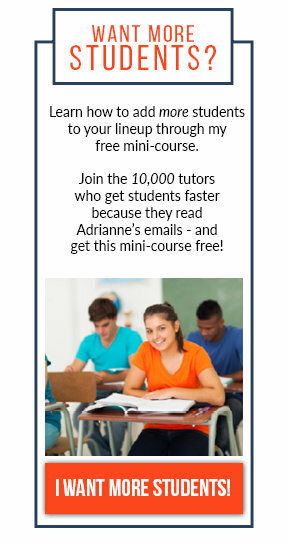 If I had to estimate, I would say 99% of tutors start out tutoring for just extra cash. That's okay because I did too! But in the moment that you are filled to the brim with no hope of it slowing down, it's time to recognize you have a real business on your hands. 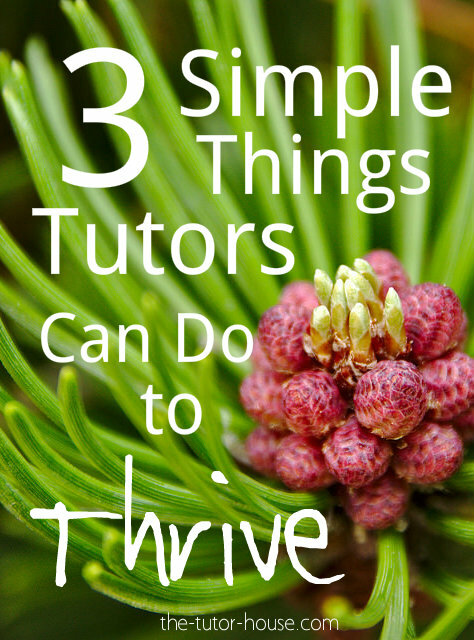 Tutors work different hours than your typical 8-5 job. The ability to set your own hours is one of the biggest appeals to tutoring and also one of your biggest struggles. Am I right? Before you know it, you are filling every last waking hour with students and working yourself to the bone. It's time to press pause and remember that if you were an employee, you would get vacation and sick time. You also get weekends off to be with your loved ones. Shouldn't you, as the CEO give yourself this benefit? 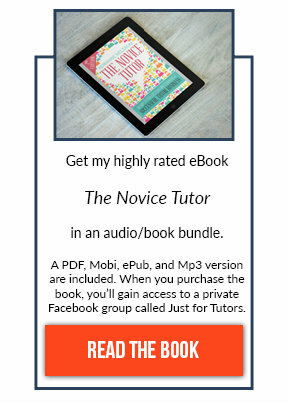 The Profitable Tutor Framework gives tutors the tools they need to take their growing tutor hobby into a real tutor business. With tools like the pricing guide, you'll be able to plan, yes plan for vacation and sick time. You can even plan for things like retirement, taxes, and savings just like a real business! Business owners make plans for their income, expenses, and time. It's time you learned how too. One of my favorite solutions to thriving is to price yourself correctly. When we charge less than the value we provide, like $20 an hour, we are leaving money on the table and not enough space for us to have a life. If we double our rate, that means we can continue to bring in the same amount of money in half the amount of time. When was the last time you objectively looked at your tutor rate? When was the last time you increased your rates? We should be visiting those rates every year and taking inventory to figure out if this rate is helping us reach our financial goals. With the Profitable Tutor Framework, I'll show you how to set an annual salary goal and make plans to actually achieve it. We'll include the important things like expenses, but also make plans for you to get a much needed break. Sounds good, right? If you're ready to take your bustling tutor hobby and switch it over to a real business, you'll want to watch my free webinar where we'll dive into three components of a successful tutor business plus dig in and find the right rate for you.